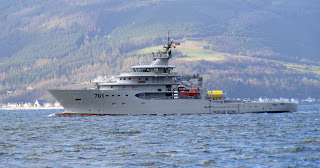 Algerian ETV El Moundjid outbound for Portsmouth 24 February 2012. 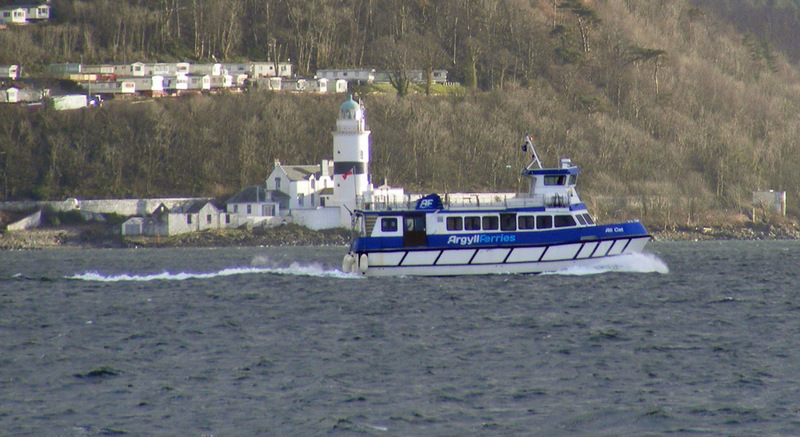 Coaster Amke waiting to head upriver loaded with windfarm components 24 February 2012. 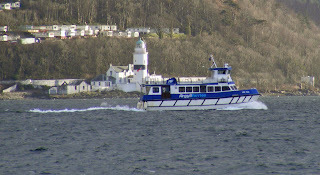 Argyll Ferries' Ali Cat passing Cloch on service 24 February 2012. Loch Alainn lies at Largs Pier as Loch Portain approaches 12 February 2012. 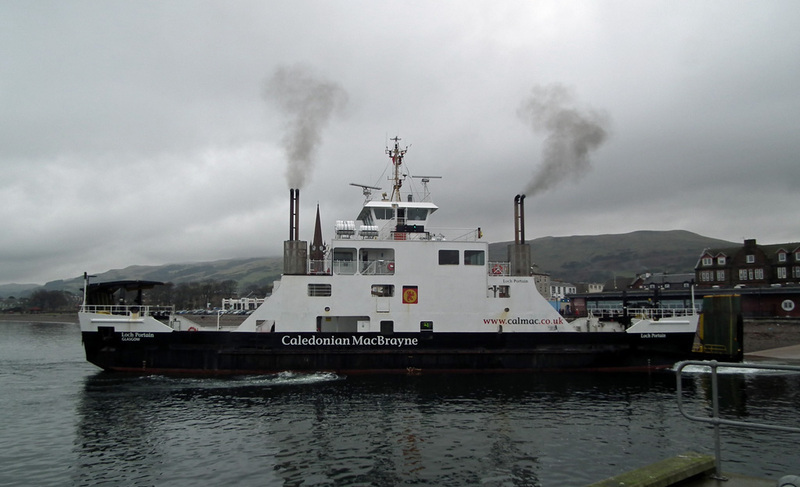 Caledonian Macbrayne's Loch Portain appeared in a rush to get to the Garvel after dropping crew vehicles at Largs 12 February 2012.